Marriage is one of the most important events in Indian families and it is also considered as one of the most important events in one's life…Indian marriage is celebrated with so many pre-wedding functions like Sangeet, Mehendi, Haldi, etc. So in the wedding season, we have to attend so many functions and events…to attend the more than one function in single wedding, we are more confused about our costumes for every event. Usually, girls are more conscious about cloths, so, she decides their costumes, accessories, etc. for each function of wedding a month before. The year of 2012 comes with lots of good news……This year several Bollywood celebrities have exchanged marriage vows and started their new life - Saif and Kareena, Genelia and Ritesh, Esha deol, etc. Most of the bollywood celebrities have attended their marriage with different looks and wear. We all know that long ANARKALI dress is the latest trend; seeing that approximate half of bollywood celebrities dressed different style ANARKALI dress. Some of them appeared in Sarees and lehenga. Here, we bring you celebrity marriage ceremony garments so that you can get easy cue from them. We have no words about beauty of Aishwarya Rai Bacchan, as she looks awesome every time…. 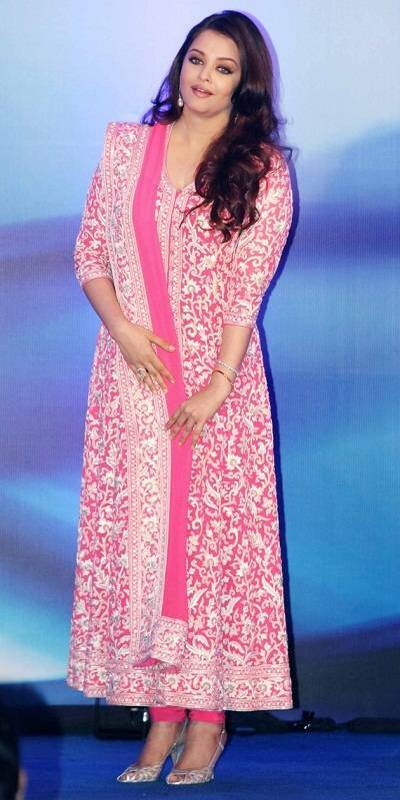 Aishwarya’s full length pink Anarkali is the perfect attire for any of the big and important functions of wedding like engagement, the wedding ceremony or the reception. Breaking up with someone is indeed very tough. However, once you are totally convinced that you can’t ever be happy with a relationship then it is always better to end it and move on with your life. Breakups have become far more common these days. Recently, a UK dating site called SeekingArrangement.com conducted an interesting survey among its members to find out why and how they would dump a partner. Both male and female members of the site had participated in the survey. As per the survey results, it seems that the answer depends on whether you are a man or woman. The survey has actually revealed the top ten breakup lines that are most commonly used by men and women when dumping their partner. 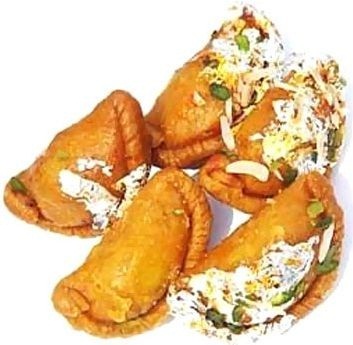 The biggest festival of India, Diwali is just around the corner and it’s time to start preparing the finger-licking sweets for adding fun to your celebrations. Sweet dishes add a flavor to every Indian festival. Diwali celebrations are not complete without tempting and mouth watering Indian sweets. 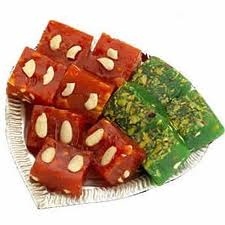 During this grand festival, we make various sweet dishes from halwa to barfi and from ladoos to kheer at home in order to serve the guests. Here, you can find some very easy yet delicious Diwali special sweets recipes, which you can easily make at your home and win everyone's heart. 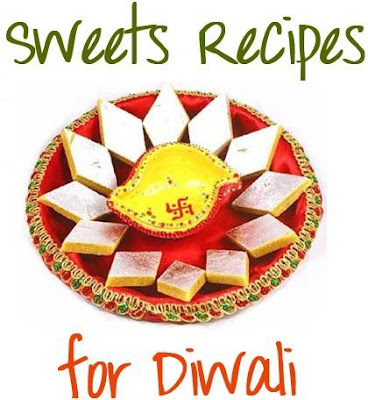 These sweets recipes surely make your Diwali celebrations more memorable and zestful. 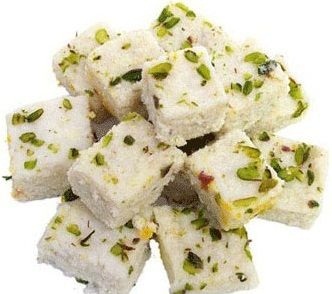 To prepare pista barfi, make a fine paste of soaked and peeled pistachios in a food processor. After that, make one string sugar syrup by boiling the sugar in 1/2 cup of water. Add pista paste, cardamom powder & green colour in the sugar syrup and stir continuously. When the mixture leaves the sides of the vessel, remove from heat and transfer to a plate. 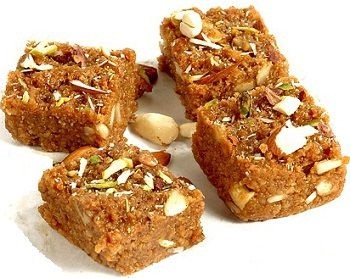 To prepare kaju barfi, make a fine paste of soaked cashewnuts and one string sugar syrup. Mix the kaju paste in the sugar syrup, stirring continuously. When the mixture leaves the sides, transfer the mixture to a plate. 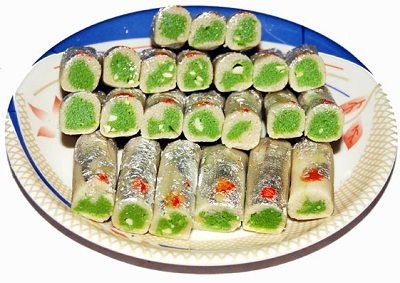 Make two 100 mm cylindrical rolls of pista mixture and keep aside. Now, divide kaju mixture in two equal parts and roll out them with a greased rolling pin on a plastic sheet. Put cylindrical rolls of pista mixture on rolled out cashewnut mixture (one on each). Make a roll starting from the end and seal the ends totally. Press the roll gently and then rotate it in silver leaves. Cut pieces, and the Kaju Pista roll is ready to serve. First of all, soak sago as well as maida & cornflour separately in 2 cups of water (each) for 8 hours. Now, take a pan and add sugar in 1½ cups of water. Bring them to boil and when the sugar melts, add both the above mixtures. Stir continuously while adding the mixtures. While the mixture starts to thicken, add ½ cup of ghee by putting 1 tsp ghee at a time. Then, add the mixture made with colour, lime juice & cardamom powder and add the remaining ghee as before (putting 1 tsp ghee at a time). Remove the pan from the flame when the mixture begins to leave the sides of the vessel. Pour the mixture on a greased plate and let it to cool down. Cut the pieces when still soft and wrap every piece in butter paper or cling film. Take a pan, add ghee and other ingredients. Cook it on a medium flame for about 30 minutes on a medium flame, stirring continuously. When the mixture becomes thick and leaves the sides, turn off the flame and pour the mixture on a greased plate. Cut the pieces in desired shape and garnish with sliced almonds and nuts. Take a large pan and boil the milk till it becomes slightly thick. Add the alum and mix constantly until the milk becomes grainy. When the moisture evaporates, add sugar and cook for 5 to 10 minutes or till the mixture becomes thick. Pour the mixture in a greased aluminium tray and level it. Sprinkle the sliced pistachios and after few hours garnish it with silver varq & cut into pieces (squares or diamonds). In a pan, add ghee and sauté raisins for two to four minutes. Keep aside. 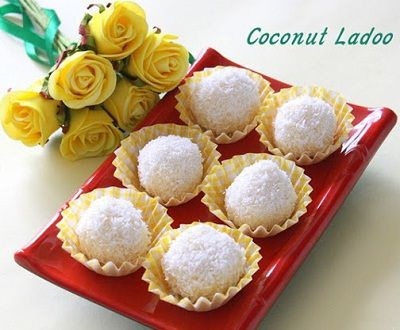 Take a separate pan, add 2 cups of shredded coconut and the condensed milk / milkmaid. Mix constantly till the mixture leaves the sides of the pan. Now, add sautéed raisins, cardamom powder & vanilla essence and mix well. Remove the pan from heat and make balls of the mixture. Then, roll the made balls in the remaining shredded coconut. Hollywood celebrities are known and admired for their gorgeous complexion, beautiful skin, excellent looks and fabulous body. As they are always in the limelight, celebs are very conscious regarding their look. They are consistently in the view of cameras which makes it compulsory for them to look their best and flawless all the time. This is the reason why celebrities go to any length when it comes to beauty. You may surprise to know that the beauty regimes of these glamorous celebrities include products that you cannot even imagine. Here you can know about the most weird beauty secrets followed by the male and female Hollywood A-listers celebrities to look young.